You may have heard that Australia's famous Great Barrier Reef dies as warmer and acidic waters bleach the system's vibrant coral reefs. In fact, a heat wave in 2016 killed nearly a third of the system corals. Now scientists in the journal Nature Geoscience have discovered that the reef has returned five times from extinction in the last year 30,000 years. However, the current pressures are probably much more intense than those in the past. "I have great concerns about the ability of the reef in its present form to survive the pace of change caused by the many current burdens and such that are projected in the near future," said study author Jody Webster of the University of Sydney in a statement. The international team looked beyond the boundaries of today's reef to find places where old coral could have grown. Then they drilled into the ocean floor and collected fossil corals and sediments for 30,000 years. These rock cores revealed the dramatic past of the coral. Read more: Can the Great Barrier Reef survive after heatwave kills one third? Rising sea levels – like those we see today – were twice killed by the coral between 13,000 and 17,000 years ago. This time, corals crawled close to land to survive. The reef system, according to scientists, has migrated up to 60 inches per year in the face of changing environments. The last of the five major deaths occurred about 10,000 years ago and was probably caused by a large influx of sediment, a reduction in water quality and a general increase in sea level. The modern reef was created about 9,000 years ago. Although these historical challenges are similar to those faced by the system today, "we do not expect the reefs to hit back quickly," said Mark Eakin, a National Oceanic and Atmospheric Administration (NOAA) coral reef ecologist not involved in the study, Science The change in sea surface temperature and acidification of water has probably been slower in the past, Webster told AFP. The reef, he says, is probably fighting faster now than it used to. 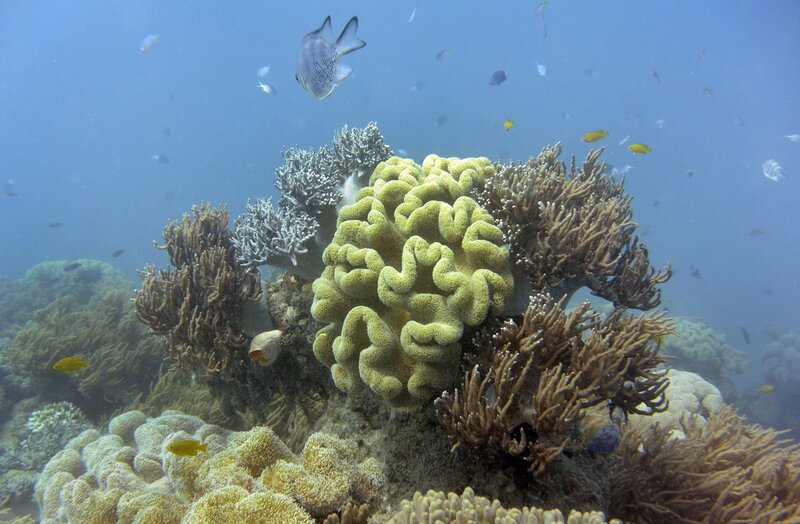 Coral reefs – living kindergartens for other marine life become much more vulnerable to death and disease when bleached. According to the World Wildlife Fund, the Australian Great Barrier Reef, a UNESCO World Heritage Site, hosts over 1,500 species of fish, as well as sharks, sea turtles, rays and marine mammals such as the Dugong. The reef system could eventually die again in the next few thousand years, "if it follows its geological pattern," Webster AFP said. "But whether man-made climate change will accelerate death remains to be seen."